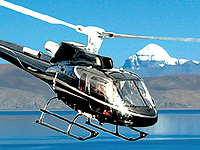 On arrival at Delhi airport you have private transfer booked for you in a private air conditioned car. Our company staff will be waiting for you just outside the airport and he will ensure a smooth transfer for you from the airport to hotel. Arrive at your beautiful Imperial Hotel and spend the night in a very elegantly decorated room. This is your first day on your luxury Golden triangle tour in India. Wake up and enjoy healthy and tasty breakfast in your excellent hotel. Later meet with our tour guide in the hotel lobby. 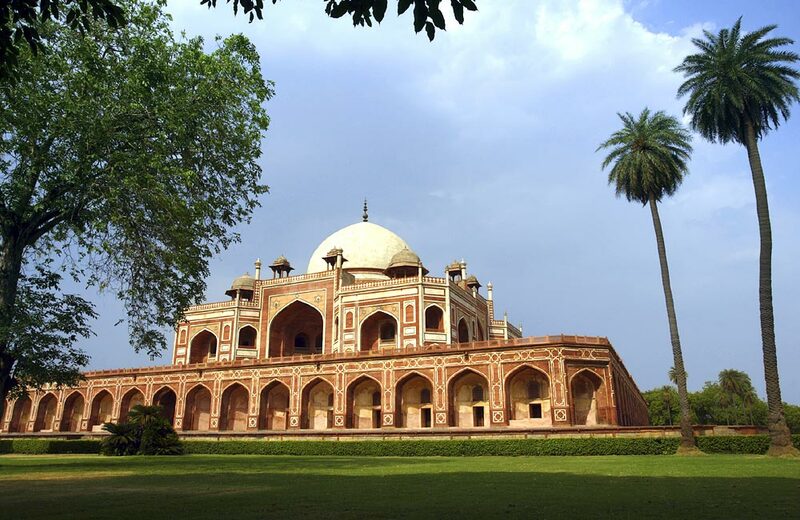 Get briefed about the tour and get started for a combined city tour of Old and New Delhi. Start the sightseeing tour from the old part of the city. You will hear the bells of bicycle rickshaw, horns of luxurious cars and even the cows sitting in the middle of the road. This is what old Delhi has to offer to its daily life. Reach Red Fort from where you start a cycle rickshaw ride towards the busy markets of Chandni Chowk which is considered to be the market place of Mughal’s. Get close experience of the life of locals living in this part. 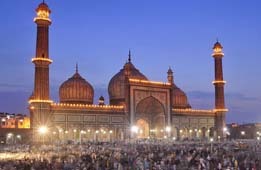 Then proceed to Jama Masjid for a visit. 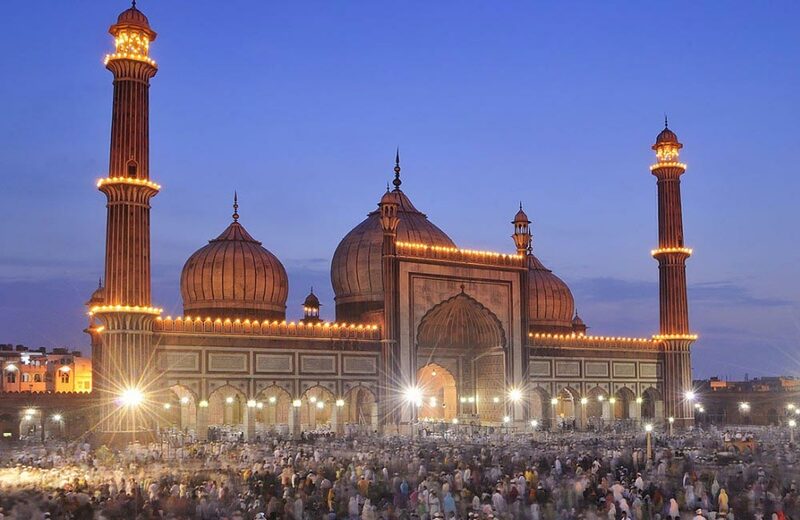 This is the largest mosque in India with a courtyard capable of holding more than 25,000 devotees at a given time. 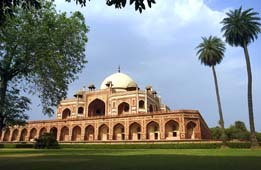 After finishing the tour of Old Delhi proceed to Raj Ghat, the cremation site of Mahatma Gandhi. We drive past through the most beautiful part of Delhi as we see India Gate, President’s Palace and other Govt buildings from the window of our vehicle. Parking near the palace is not permitted, therefore if you wish to click some photograph here, you need to ask your guide to arrange a stop at a nearby suitable parking. It is now lunch time and we enjoy our mouth watering meal in a city restaurant. Now after a long and hectic day we have time to relax in our beautiful hotel till we head to our next destination tomorrow. Buffet breakfast is served in the hotel restaurant. 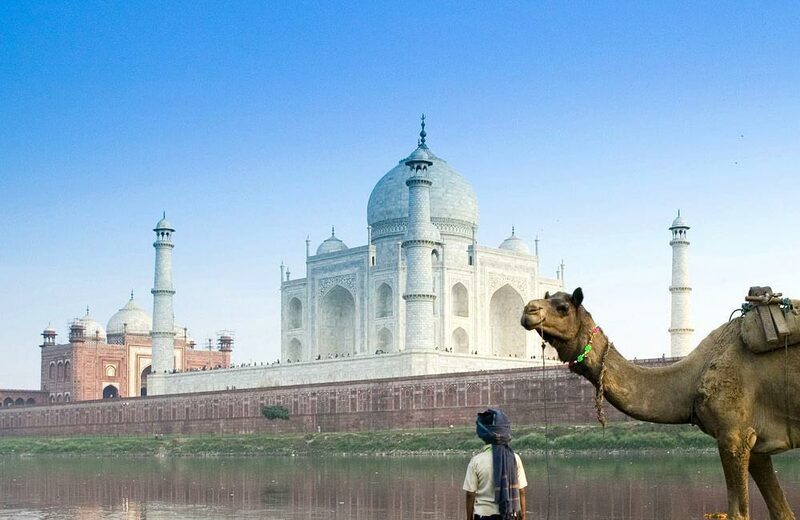 Get collected in the lobby of your hotel where the driver is waiting to pick you for a beautiful drive to Agra through the very comfortable express highway. 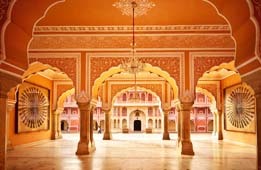 On arrival at Agra we check into the very luxurious Oberoi Amarvilas hotel. 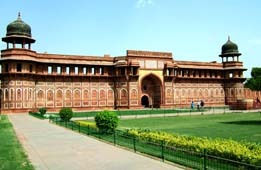 After wash and change, we will visit the massive Red Fort of Agra which is situated on the right bank of Yamuna river. 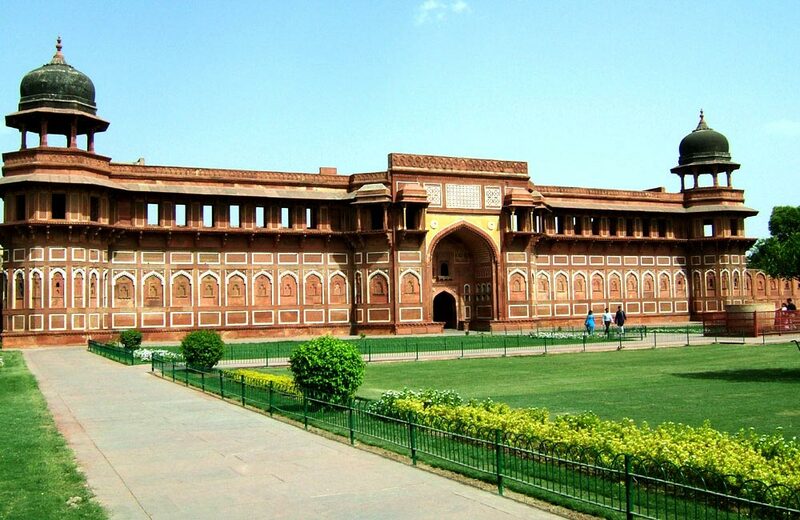 This great fort was built by the Mughal Emperor Akbar. After Agra Fort, visit the Tomb of Itmad-ud-Daulah which is often regarded as draft of Taj Mahal. In the evening we will visit the very beautiful Taj Mahal which was built by Mughal Emperor Shah Jahan in the sweet memories of his beloved wife Mumtaz Mahal who died while giving birth to his 14th child. Spend rest of the time in our luxurious hotel Oberoi Amarvilas. 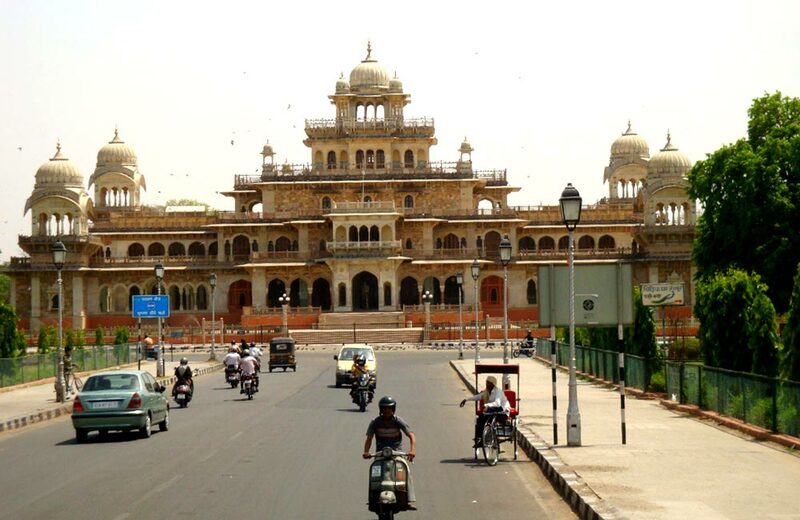 Spend leisurely morning in your hotel and then after breakfast head to Jaipur city. 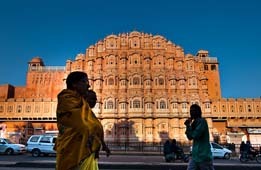 The capital city of Rajasthan, Jaipur is famous among travelers as ‘Pink City’ for its pink coloured building, houses and markets. 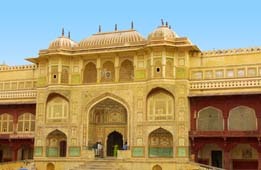 30 kms after leaving Agra city we will see a huge fort on the upper part of the hill. This is the forbidden city of Fatehpur Sikri which is now a deserted city and thus regarded as the ‘Ghost city’ sometimes. 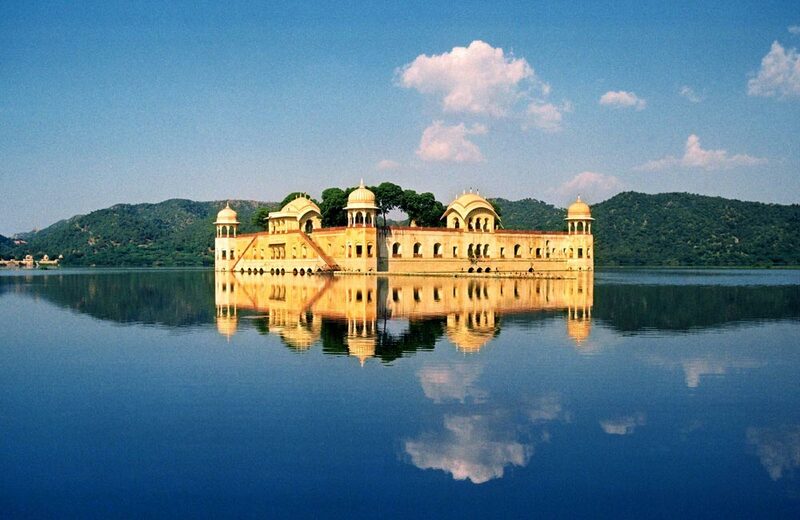 This beautiful monument is the creation of Mughal Emperor Akbar who built it on the birth of his son Jahangir. After staying in this city for about 10 year Mughals moved thier capital to Agra due to shortage of water near Fatehpur Sikri. 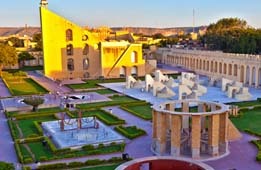 Upon arrival in Jaipur check into your beautiful hotel Oberoi Rajvilas. This beautiful hotel situated in 32 acres of lush gardens is set in a style of a fort and offers tastefully decarated luxury villas and tents with ultra modern facilities. 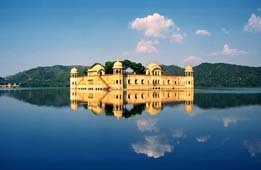 Leisurely stay in your beautiful resort Oberoi Rajvilas. The day starts with an excursion to the 16th century fort of Amer. 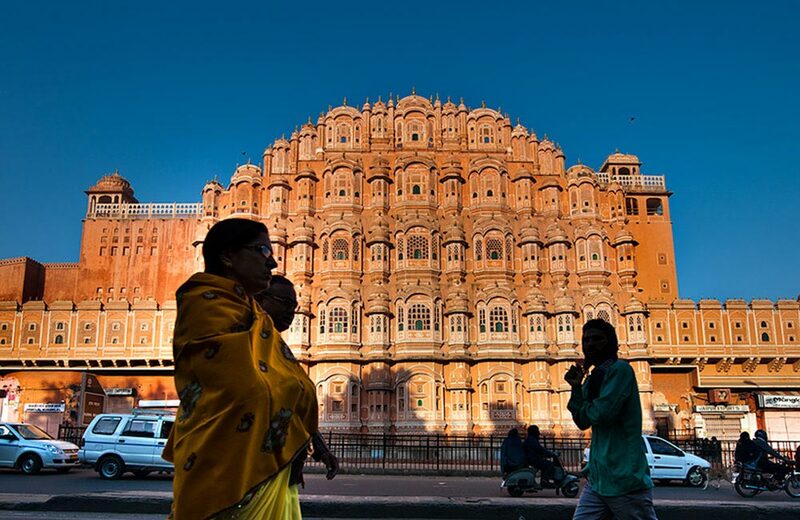 Amer the erstwhile capital of Jaipur city is situated atop the Aravali hill, overlooking the city of Jaipur. 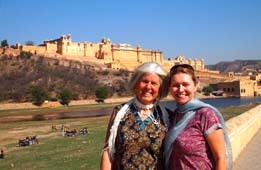 We enjoy a royal elephant ride fromthe foothill to reach the fort. After Amer Fort we will drive back into the city and explore some of the most beautiful monuments including Hawa Mahal (Palace of Winds), Jantar Mantar (India’s largest observatory) and City Palace (Museum and also residence of the royal family of Jaipur). 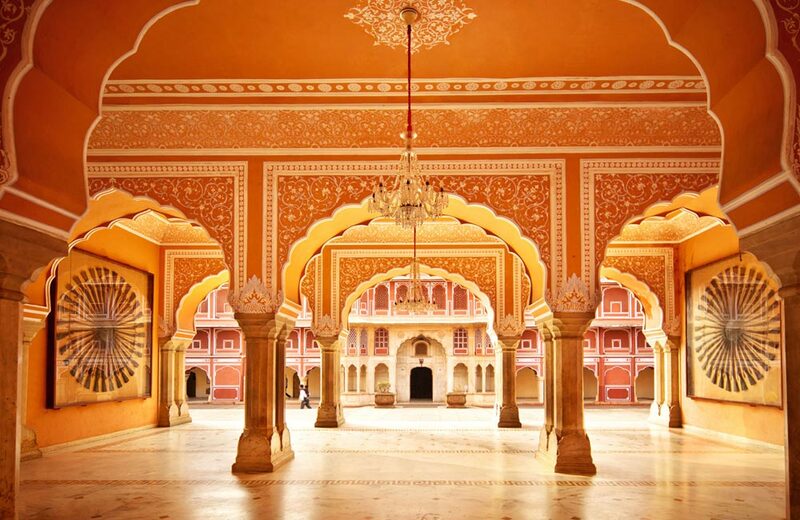 We will visit the colourful bazaars of Jaipur to see the life of the locals on the streets. Spare some time to shop souvenir from friends and family. Jaipur is world famous for its tested and certified precious and semi precious stones, carpets, textile and jewels. 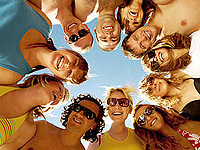 A pre appointed meeting with a famous astrologer can be arranged. Please fill the booking form to seek an appointment with the Astrologer and Vastuvid. 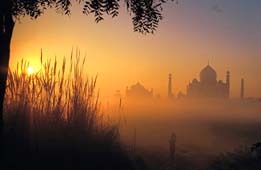 After a relaxed sleep get up in time and have your sumptuous breakfast in the hotel restaurant and then drive back to Delhi. Upon arrival in Delhi, check in your luxury hotel The Imperil or Oberoi Gurgaon. Spend rest of the day for shopping and personal activities. 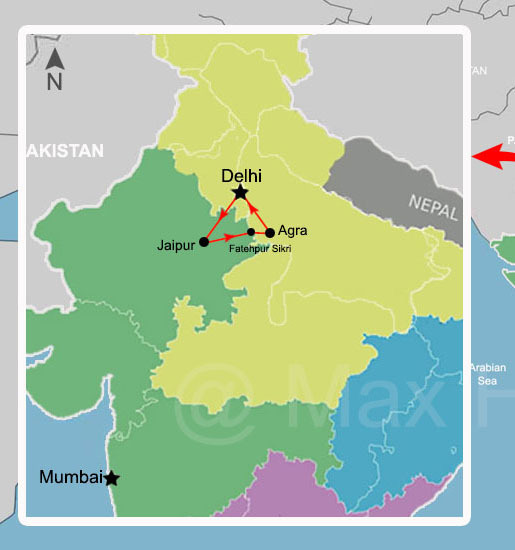 Thank you for being in this wonderful Golden Triangle journey with us. Our representative and driver will ensure a timely transfer for you from your hotel to the airport as you take your flight back to home or next destination.